I like it that we can find ways to unite in the spirit… the universe is otherwise unfriendly… more spirit connection in loving unity = better connection here in loving unity. The resulting energy being quite sweet and freeing, I feel. As you said, most of alien life is unfriendly, but there are forces out there that do want to help us. I read the books “Allies of Humanity”, which gives a great overview of this topic and warns us to be very careful. So, this morning I meditated to ask who or what those orbs were. And the answer was… interdimensional beings who are part of our universal dream/world, but have a benevolent consciousness and are trying to help us. some time ago, I posted about crop circles maybe as warnings (https://ericsamsung.wordpress.com/2014/05/25/global-cataclysms-have-a-purpose/). They certainly mysteriously occur from something into the crop beds. I may be almost to cautious about saying clearly what I find… there is lots to distract me (us). What you do when you ask for healing, is living the solution; this is sure. The solution is permanent; never changing unconditional love. In the universe everything changes. So, perhaps we any one of us be at times unfriendlies. Asking others to petition for increasing awareness of love and for opportunities for sharing witness accounts of sensing love is working with solution; this is sure. I shamanic journey to ask for healing. Today a spirit guide came and symbolically grab the chemtrails out of the sky and threw them in a fire. Sometimes the healings are literal, sometimes symbolic, but either way, I know the healing request was received, and they always answer, although not always in the manner I might expect. 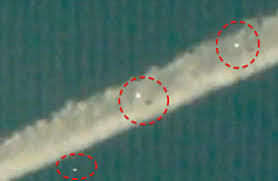 For instance, I would have never expected UFO orbs to appear! Sometimes they have bigger plans than I could ever ask for! Just wish I had taken a picture!